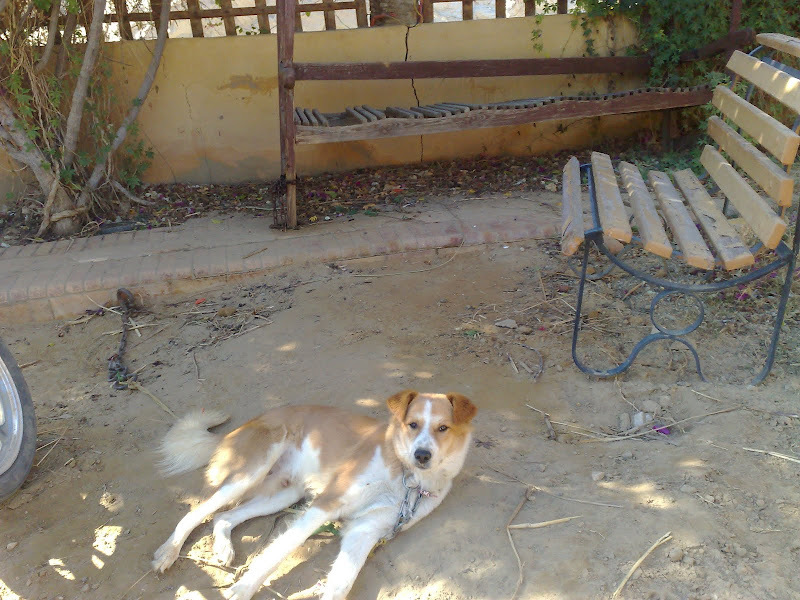 The next day after the campfire, we said goodbye to Bahariya and to Ruby this dog the inn keepers had. 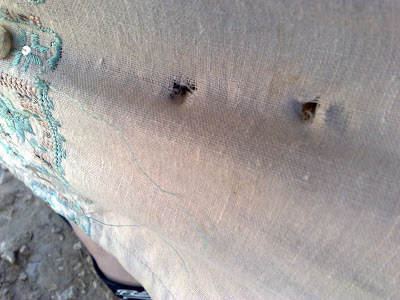 She wanted to play a little too rough and bit my abaya. We were on our way then and I had to snap a pic of Old Glory. 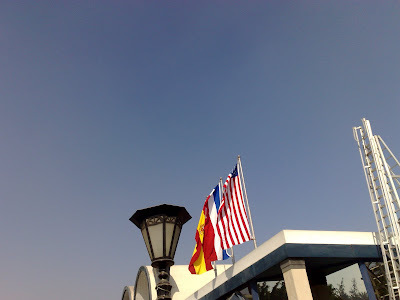 I don't usually see it in the group of flags a lot of hotels in Hurghada have. After that, we made a stop in Alex to visit my dad. We had a nice dinner and visited my 90 year old uncle who taught the kids a few songs, mashaAllah. From there we spent a night in Damanhour where E is from and then drove home. Stacy, yea big circle. 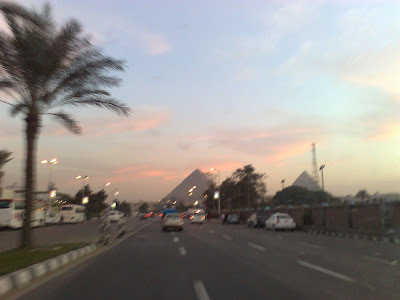 It only looks deserted in the pic, we felt the Cairo traffic as soon as we arrived. lol yeah the only time streets look that deserted in egypt is after a football match. 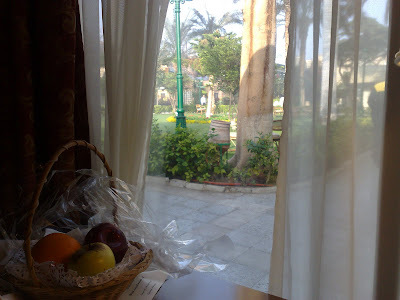 You make me miss egypt so much and im not even a native lol. yea, definitely travelling makes our stay nice. Whenever we start feeling frustrated, we go on a trip and feel much better! Aneesa, yea just a gap in the traffic! Umm Travis, it definitely helps a lot.